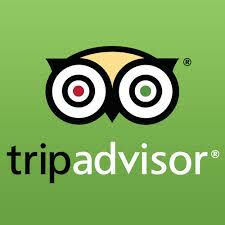 As a team, we work together to offer you the highest quality of service using only the freshest ingredients. Born and raised on the Garden Isle, Mark Oyama always knew that he wished to become a chef. This desire was borne of his experience with farming and the wonderful meals he was blessed with from the bounty of farms. During his childhood, Oyama spent a lot of time on his uncle’s farm as well as raising market hogs, steers and heifers as a member of the Kauai 4-H Livestock Club. Oyama’s dream to be a chef took him to Kapiolani Community College, where he graduated with a degree in culinary arts and received the Outstanding Student award. He gained industry experience all around the world including China, the Big Island, Alaska, and Connecticut. 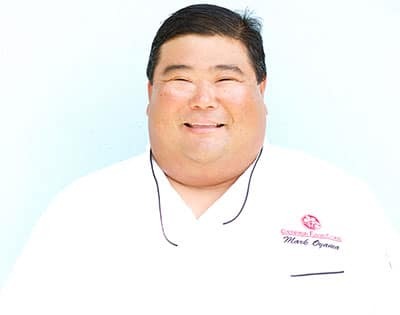 Today, Chef Mark Oyama is the founder and President of award-winning Contemporary Flavors Catering, the largest and finest full-service licensed catering company on the island of Kauai. With more than 35 years of international culinary experience, Oyama specializes in Pacific Rim and continental fine dining cuisine. Oyama also owns and operates Mark’s Place, a popular take-out eatery that serves local bento and plate lunches created with a gourmet twist. He is blessed to work alongside his wife Chef Wendy Oyama, a skilled pastry chef, in their businesses. 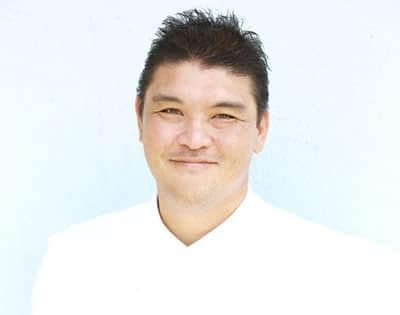 Moreover, Oyama is an assistant professor at the esteemed Culinary Institute of the Pacific at Kauai Community College. Oyama has garnered numerous accolades, such as the 2000 Small Business Administration’s Small Business Person of the Year Award for the island of Kauai, the Pacific Business News Forty under 40 Award, and the Chancellors Excellence in Teaching Award. In 2015, Oyama was inducted into the prestigious Hawaii Restaurant Association Hall of Fame. Oyama has professional affiliations with the American Culinary Federation, National Association of Catering Executives, and Kauai Chamber of Commerce. He serves as a member of the Kauai Economic Development Board Food and Ag Committee, Waipa Kitchen Advisory Board, Big Brothers Big Sisters Board, and the University of Hawaii Na Koa Board. 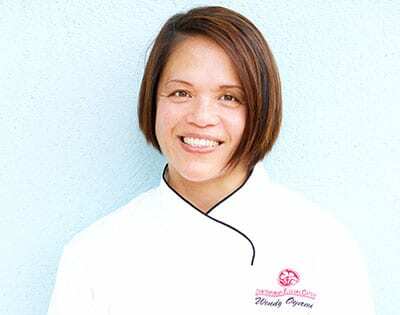 Chef Wendy Oyama has a diversified culinary background. 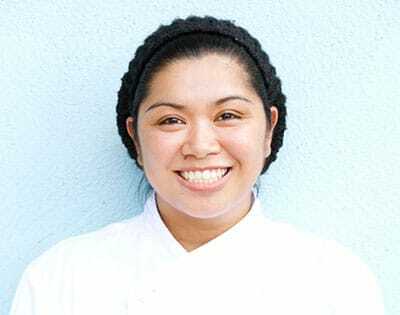 A graduate of Kapiolani Community College where she was awarded the coveted Most Outstanding Culinary Student award, she has worked at various establishments including Tony Manzo’s, Canoe House Restaurant (under Chef Alan Wong), Mauna Lani Bay Hotel, and Boxing Cat Grill in Cos Cob, Connecticut. She has managed Kapaa Big Save Deli, Kalaheo Menehune Food Mart, and the Kalaheo Coffee Company and Café. Oyama presently oversees the daily operation of Mark’s Place and is the event manager for Contemporary Flavors Catering. Executive Chef Gavin Onishi brings more than 20 years of professional experience to Contemporary Flavors Catering. He served as Sous Chef at Kincaid’s Fish Chop and Steakhouse, Mark’s Place, and most recently, Kauai Beach Resort. 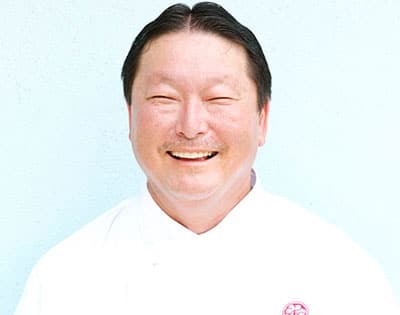 Onishi was also a cook at Dixie Grill and Café Miro on Oahu as well as Head Chef at Anchor Point Lodge in Alaska for six years. A native of Kauai, Onishi earned an associate’s degree in culinary arts from Kauai Community College. Sous Chef Aaron Arizo has been with Mark’s Place and Contemporary Flavors Catering since its inception in 1998. 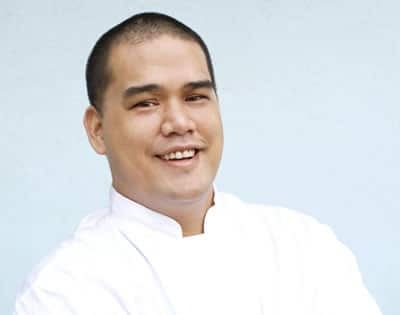 He is a graduate of Kapiolani Community College’s culinary arts program. Arizo previously served as a cook at California Pizza Kitchen, Kauai Beach Boy, A Pacific Cafe, and Whaler’s Brew Pub. Shannon-Tiffany Giron Tomacder is a baker training to become a pastry chef. 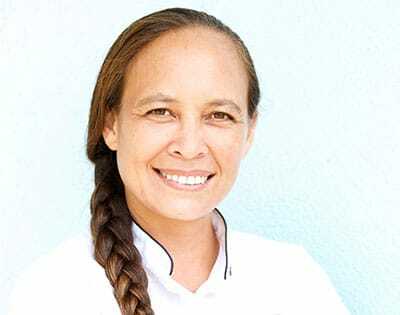 Taking classes at Kauai Community College’s Culinary Arts program, traveling to eat at new restaurants, and reading a host of culinary publications, have made her passionate about baking. Shannon says the best part about designing wedding cakes is creating new designs. She also enjoys drawing on birthday cakes and inventing dessert specials and catering desserts. She is a stickler for perfection and is excited to enter the kitchen every day. Corinna Lopez has worked in the food and beverage industry for 18 years. A graduate of Kauai Community College, she is a master bartender who crafts a variety specialty drinks including assorted flavors of Long Island iced tea. As catering manager, she is involved in the overall process of events from start to finish, overseeing front of the house team to ensure that priority is given to guests, and follows through with attention to details for each event. 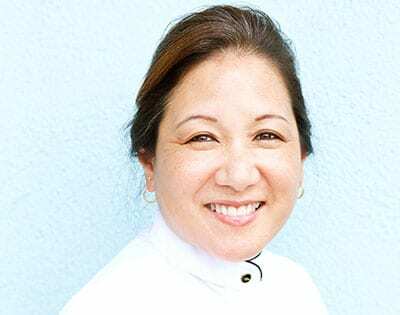 Cathy Shibuya grew up with Chef Mark Oyama and Alan Okuhara having worked with them at the local favorite, Matsuura Store, since the age of 12. As the bookkeeper, team mom and overall go to person, she is responsible for keeping all operations at Mark’s Place and Contemporary Flavors Catering running smoothly and efficiently. She also assists with managing catered events and is an integral part of the company’s success. Alan Okuhara started at age 12 making all the delicious local goodies at Matsuura Store in Lawai. He attended Kapiolani Community College and graduated with an associate’s degree in culinary arts. Prior to co-founding Mark’s Place, Okuhara worked at the Sheraton Coconut Beach for 21 years, as well as at Hanamaulu Cafe and Westin Kauai. 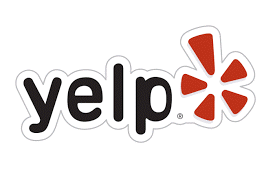 Alan has been with Contemporary Flavors Catering since it’s inception in 1998. Read more about our venues & vendors!